For many comedians, the line between comedy and tragedy is thin and not always decipherable. There are many anecdotal stories of the funniest among us suffering from severe bouts of depression, and even some, like Robin Williams, succumbing to it. Even the bright-eyed and quick-witted Jim Carrey has admitted to struggling with mental health. Indeed, he has ventured into transcendental meditation to overcome racing thoughts and depression. But few were aware of his burgeoning faith journey. So when he recently delivered an impromptu sermon – and a profound one at that – to a group of ex-cons, he took the world by surprise. Incorporating orthodox and unorthodox messages into his short sermon, Carrey’s words stir Christians and non-Christians alike. Jim Carrey has something new to say, world, so listen up. Clearly, Carrey has thought about suffering. In fact, he has lived it. Without going into specifics, he admitted to experiencing challenges in the past couple of years. Indeed, he is facing a wrongful death trial, having been accused of supplying the drugs that his girlfriend Cathriona White used to commit suicide in 2015. Whether or not you agree with him, it is very evident that Carrey is on a spiritual journey, actively seeking to uncover the truth. 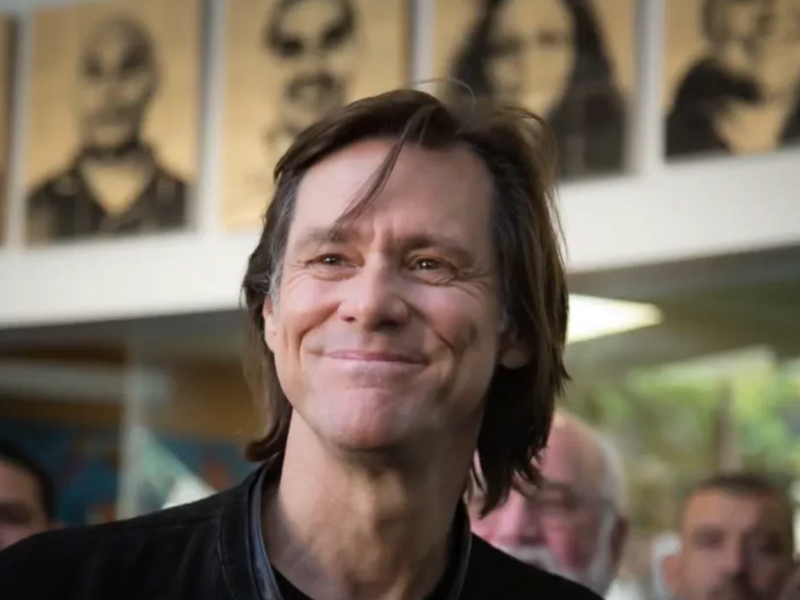 Carrey delivered the grace-filled speech in downtown Los Angeles at Homeboy Industries – a group that he actively supports. Founded by Father Gregory Boyle, Homeboy Industries is an inspiring community of ex-cons and former gang members who want to revamp their lives and become contributing members of society. The ministry’s stated goal is investing in people instead of incarcerating them – exercising compassion rather than judgment. Praise God for the celebrities that use their clout to boldly declare Jesus’s name and follow in His footsteps.